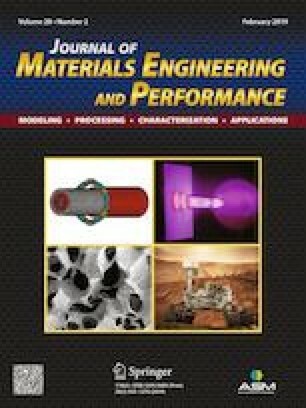 In this research work, high-velocity oxy-fuel thermal spraying is used to develop TiAlN coatings on AA1050 and AA5083 aluminium alloy substrates. Slurry wear behavior of coatings is evaluated using jet-type test rig. Surface studies were carried out to investigate the potential erosion mechanism. The influence of key parameters identified using the Taguchi analysis is also corroborated with a wear model. The potential mechanism identified by wear model is in excellent convergence with that observed experimentally. Mixed ploughing and cutting, formation of platelets, abrasion grooves and cracks are witnessed as primary mechanisms causing loss of coating. Results indicate that impact velocity is recognized as a highly contributing parameter with contribution ratio of 79.24 and 83.75% followed by impingement angle with contribution ratio of 15.81 and 11.58% for AA1050 and AA5083, respectively. The important sequences of the control parameters are recognized to be impact velocity > impingement angle > erodent feed rate > erodent size for AA1050 and impact velocity > impingement angle > erodent size > erodent feed rate for AA5083. The best possible combination of control parameters for AA1050 and AA5083 to achieve minimal wear rate with respect to impact velocity, erodent size, impingement angle and erodent feed rate is 30 m/s, 225 µm, 30°, 160 g/min and 25 m/s, 150 µm, 30°, 160 g/min, respectively. The authors admiringly acknowledge the financial support by the Council of Scientific and Industrial Research (CSIR), New Delhi, [Sanction Letter No: 22(0702)/15/EMR-II] for the work. Authors would also take the opportunity to appreciate the Material Research Centre and Advanced Research Laboratory for Tribology for providing experimental support to carry out the work smoothly.